face in a perfect mirror. ​​​​​​​Peace begins with a smile. The greatest self is a peaceful smile that always sees the world smiling back. ​​​​​​​Lighten up, just enjoy life, smile more, laugh more, and don't get so worked up about things. In her never-ending quest for knowledge and broadening her skill sets, Dr. Rubinoff further pursued her dental education and training by completing the advanced implant program and became an associate fellow of the American Academy of Implant Dentistry under the mentoring of Dr. John Minichetti, a Diplomat of the American Board of Oral Implantology. These affiliations and standings give Dr. Rubinoff access to continuous research, developments, and the newest and most innovative protocols ensuring her clients receive the most comprehensive and groundbreaking technology available. Dr. Rubinoff’s attention to detail and natural artistic skills result in smile restorations that are customized, sculpted and crafted to the individual needs of her clients and their sustained oral health. A kind and attentive surgeon and artist, Dr. Rubinoff’s gentle touch and total respect and care put even the most apprehensive of patients at ease. Come see how Dr. Rubinoff can develop a plan to bring you the smile of your dreams. you the smile of your dreams. restore the beauty of your smile. Dr. Rubinoff restored my smile after a sporting accident chipped one of my teeth she calmly talked me through every step of the procedure and put me completely at ease. I am happier with my smile today than I ever have been. Dr. Rubinoff is the only dentist I trust with my oral health she is a true artist and perfectionist. I just had the pleasure of getting veneers done by Dr. Rubinoff. She is a wonderful person and does wonderful work. Her work is meticulous and she is a perfectionist. She had to redo my bottoms and I am setting an appointment to redo my top. I highly recommend her for any cosmetic dental work. Dr. Rubinoff is fantastic! Truly a professional, knowledgable and wonderful dentist. The new office is incredibly beautiful and is a complete reflection of Dr. Rubinoff's immaculacy. The office is top notch! All high end equipment. Felt like I was at the Spa! I am following her from prior location in Long Island. She really cares about her patients. I had a lot of work done and it came out perfect! Dr. Rubinoff is excellent! 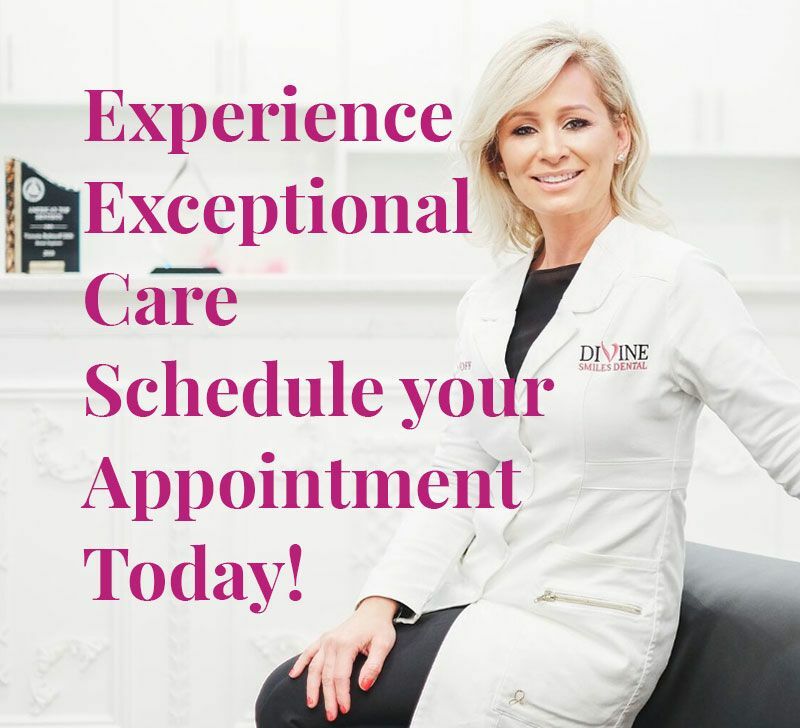 We offer flexible hours, with evening and weekend appointments available. Contact our office today to find a time that works for your schedule.